In 2014 Cure Kids was delighted to announce long-term funding for a senior researcher focused on improving the mental health of children and adolescents in New Zealand. This development is the result of events beginning 15 years ago by the Rotary Club of Downtown Auckland (RCDA). It is estimated that at least one in four Kiwi children and adolescents will experience a significant mental health issue. “It’s an epidemic facing our kids; impacting their health, learning, relationships and development. Once again, we’re grateful for Rotary’s role in helping us meet a clear child health research need,” said Vicki Lee, Cure Kids CEO and Waiheke Island Rotarian. In 1999, Downtown Auckland Rotarian, Dr Bill Daniels, was concerned at the lack of specialist help for children and young people with mental illnesses. He floated the idea of establishing a research Chair to address the issue, and by 2009 the RCDA raised $170,000. While this wasn’t enough to fund the Chair, the funds were applied to support the important work of the Werry Centre for Child and Adolescent Mental Health at the University of Auckland. Recognising the clear need for more research in this area, Cure Kids embarked on a fundraising campaign engaging a small number of motivated donors who shared this vision and generously provided the funding needed to establish the Chair. The generous donors are Rod and Patricia Duke and family, the Hugh Green Foundation, and support from New Zealand Rugby. The Chair will investigate insights into causes, develop research-led treatments, prevention strategies and improve outcomes for kids and their families dealing with mental health conditions. Having the support of Rotary has always been pivotal to the success of Cure Kids and we are again asking for Rotary’s help as we look for further donors to help build this fund. Please contact Philanthropy and Fundraising Dellwyn Stuart at Cure Kids on 09-370 0290 with any questions or ideas. 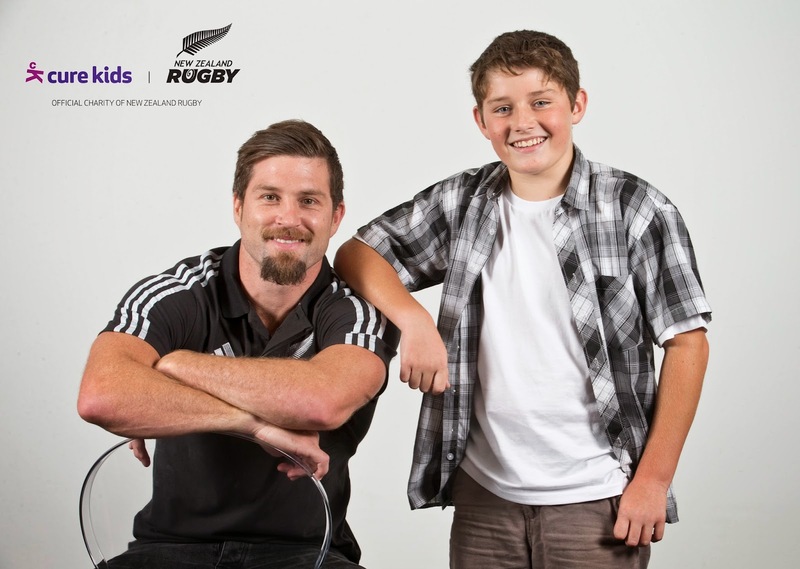 Thank you again for helping improve the lives of kiwi kids. Established by Rotary in NZ in 1971 as the Child Health Research Foundation, Cure Kids has to date raised $36 million for research into child health. Rotary has been a passionate supporter of children’s health through the ongoing support of Cure Kids’ fundraising activities. Cure Kids’ annual appeal – Red Nose Day – goes from strength to strength with Rotary’s active involvement. This year it will take place on August 21 and you’ll be hearing more about this year’s appeal soon. Call Fundraiser – Campaigns Kelly Douglas at Cure Kids on 021 110 2161 with any Red Nose enquiries.